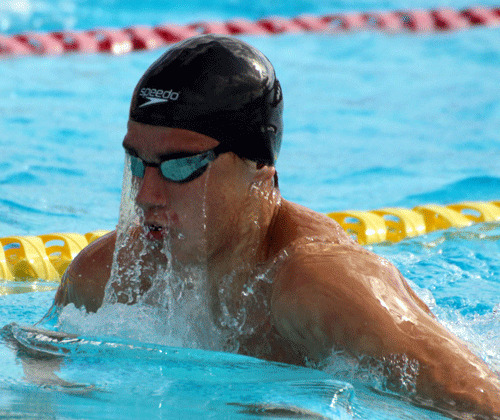 The Bermuda Amateur Swimming Association hosted a Long Course Qualifying Swim Meet at the National Sports Center. Daria Desmond made both her qualifying times for Carifta to make her eligible for selection. Desmond competing in the 11-12 Girls 100 LC Meter Breaststroke clocked a time of 1:27.92 to meet the Standard, she would also meet the Qualifying Standard during the 11-12 Girls 200 LC Meter Breaststroke as she clocked a winning time of 3:05.38. Jack Harvey made his Second Qualifying time to make him eligible for selection with his swim in the Men 15 & Over 100 LC Meter Backstroke, he was clocked at 1:02.91 which breaks Adam Young’s record time of 1:03.01 set back on July 1st, 2018 during the XXXI CCCAN Swimming Championships. Competing in the 13-14 Girls 100 LC Meter Breaststroke Josephine Duerden reached her second Qualifying Standard time making her eligible for selection as she touched the wall in a time of 1:19.54.